Hi, I visited your gallery again and voted on the remaining 18 pots with 5⭐️ Awesome art. I will be very glad if you have free time and can leave stars on my pots you liked. All the best, TC Rahime . 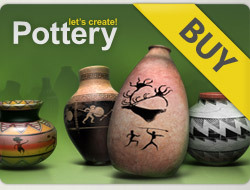 5 x 5***** for your newest amazing pots! Welcome back, TC Rahime ♥ 5* x 17 new great creations. Happy day !!!! Gorgeous gallery ❤!!! 48 x ⭐️⭐️⭐️⭐️ for your pots! I will be back to see more ❤! Beautiful works of art, 5* for all! Have a nice day and weekend!! 5. X. 12. Beautiful creations. Happy. Weekend!